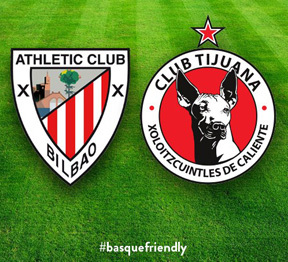 We have received word from Basque Soccer Friendly that the match between Athletic Bilbao and Club Tijuana that was slated for July 29th at Albertson's Stadium at BSU in Boise, may have to be moved. Since Athletic is now in 7th place, good for them, they now qualify for the UEFA Europa League which may conflict with the game in Boise. If Athletic automatically qualifies, by beating Barcelona this weekend, then they could potentially still play in Boise on July 29th. If the date does need to be changed, the likely new date would be the weekend of July 18-19th. If you are in the Boise area this weekend and want to watch the Athletic-Barcelona match, you are invited to join the Copa del Rey watching party, Saturday at 1:30pm MST on the Basque Block at the Basque Center, Leku Ona, or the Parrilla Grill. If you are in the Seattle area, we also heard from our friends at the Seattle Euskal Etxea about a watching party organized by the "Peña Puget Sound Athletic Club Bilbao." They will be getting together on Saturday at the Atlantic Crossing Pub in Green Lake/University District Neighborhood to watch the match from 11:45-2:45pm. Korrika is a race that takes place once every two years in favor of Euskera. This year's race took place March 19-29 in the Basque Country beginning in Urepel, and concluding in Bilbao passing through all points in between. 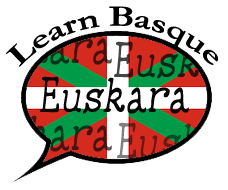 In 2015, more countries than ever participated prompting Antton Curutchet, member of Euskaldunak Denak Bat in Quebec, to create a video featuring events that took place in 20 Basque clubs in 15 different countries, from Australia to Argentina via the Sahara Desert and Scotland. Maybe watching this video will encourage your club or center to organize an event in 2017? 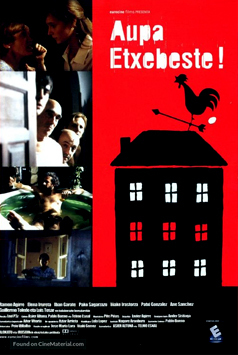 To watch the video and see the entire list of clubs that are included visit EuskalKultura.com. The Food First organization has been working for forty years on resolving hunger issues and giving voice to communities and movements who are advancing solutions in that area. To this end, they have organized a tour to the Basque Country September 25-October 4, 2015 to "highlight the realities and challenges faced by the Basque Country's farmers and consumers." The tour will include stops in Gernika, the Mondragon Cooperative, Cider Houses, and the Rioja, as well as a trip to Iparralde. Even though the visit will include a lot of great food and drink, it is not a culinary tour. Cost of the tour is $2,485.00 based on double occupancy. 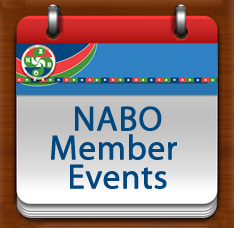 For complete information on Food First and/or the tour, visit its website.